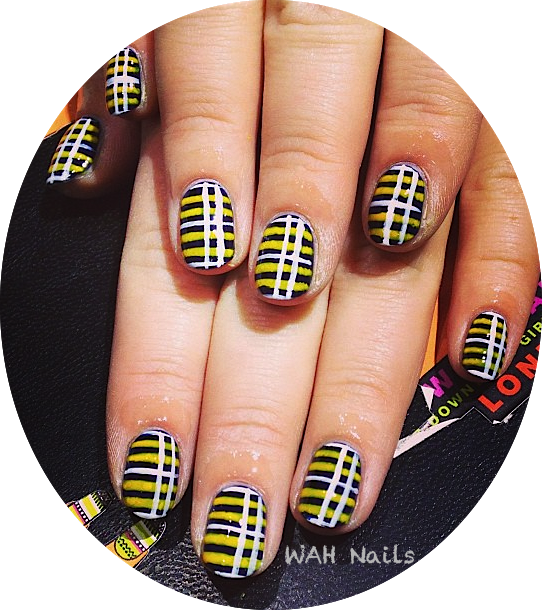 Is it just me, or the nail art movement is moving so fast that it’s becoming more and more fascinating as we see a heavy rotation of new inspiring creations being recreated right in front of our eyes, and it’s super hard to not give in?! 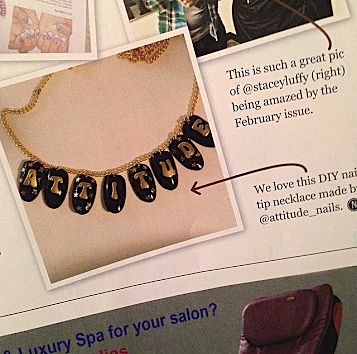 London base nail artist- Nikki P of, Attitude Nails extended her genius ways of doing fascinating nail design to now recycling artificial nails that she transformed into hip and trendy neck pieces jewelry, which just adds to the many cool depictions of recreating the nail art market. 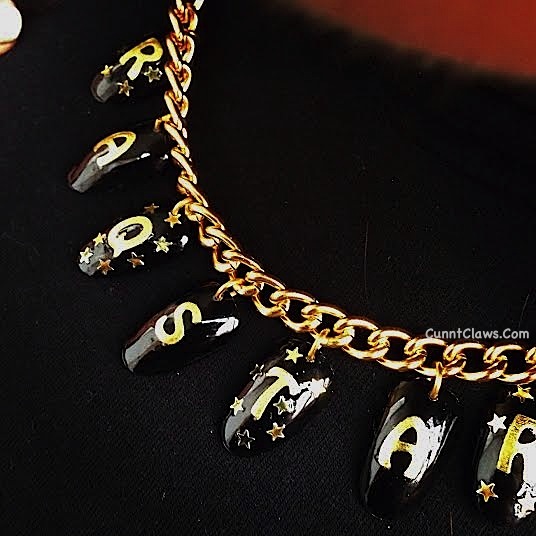 Already seen sporting the customize nail-chain; Raquel (RaqStar Nails), Kelly (I_Nailed_It) and myself- these chains are limitless as to what can be created on them! 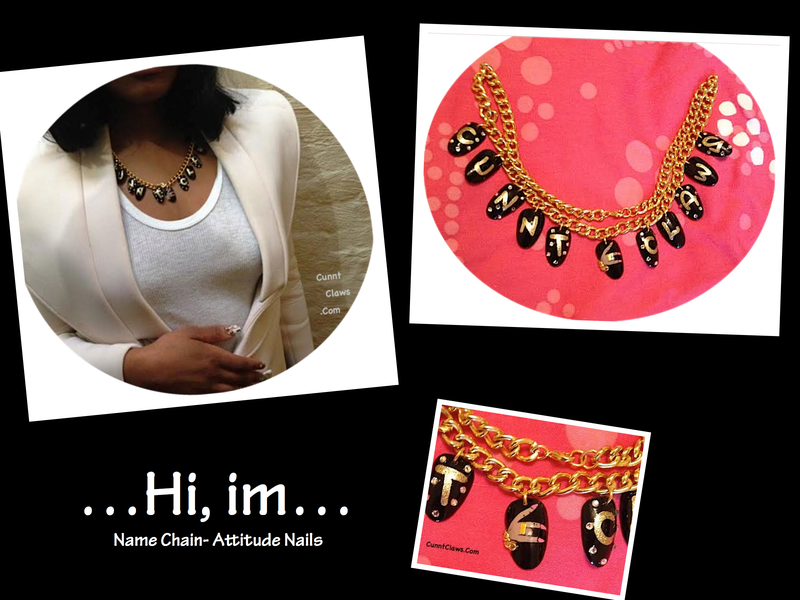 From a nail art blogger standpoint, jewelry are so fun to an outfit! 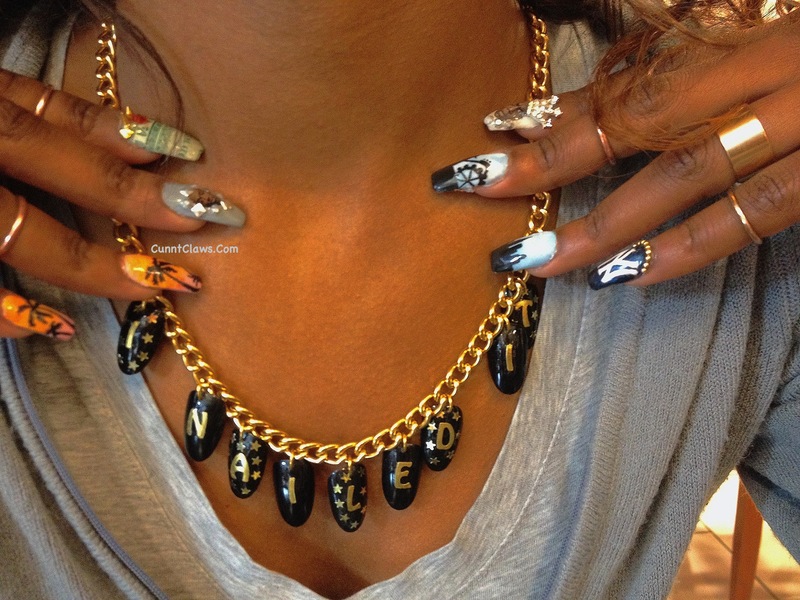 Customizing a nail art necklace made out of artificial nails, is taking the “nail art lifestyle” to an entirely new level. 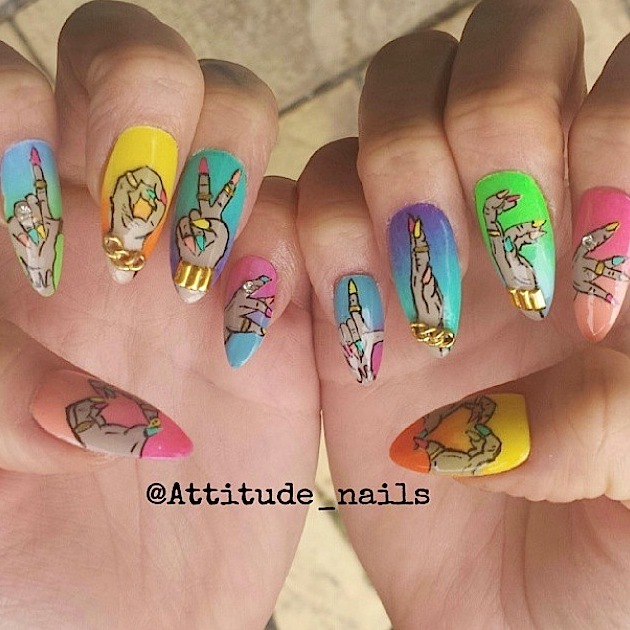 This targets the market of audience, who just get a kick out of watching fun nail-art images, but would never move forward with implementing customize designed nails! Over the years, I have grown and developed a high admiration to the evolution of art. Growing up in a big city, art is a huge influence and is embedded in the trains, streets, building, etc. 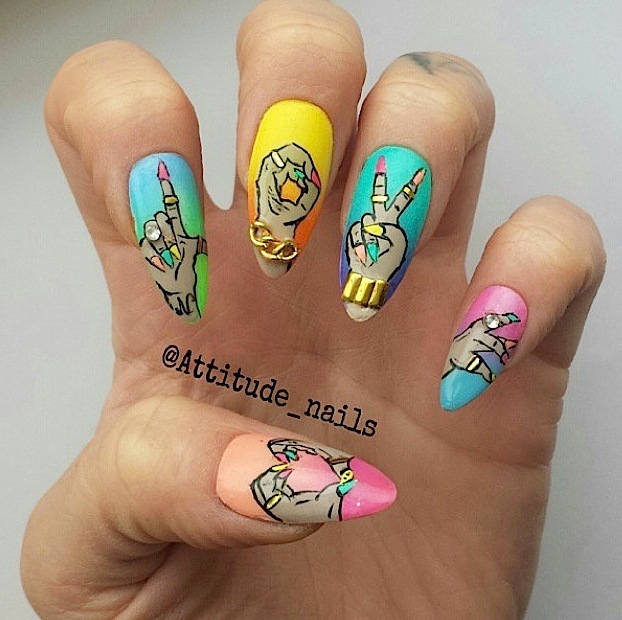 Watching art play out into my own personal life, it still remains relevant and has become more well rounded in the sense of art being the legitimate “right- hand ” to the nail art world. 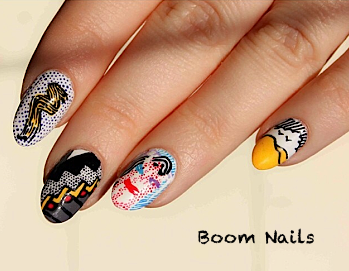 The nail art that you see are from London nail artist, Boom Nails that is inspired recreation by American pop artist, Roy Lichtenstein sand dune painting! 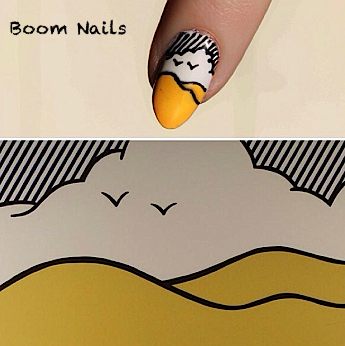 Inspired movingly by “Comic Strips”, in the 1960’s Lichtenstein was considered the lead creature of the new art movement. (Sirens sound) Happy Halloween, Cunnts!!!!!! 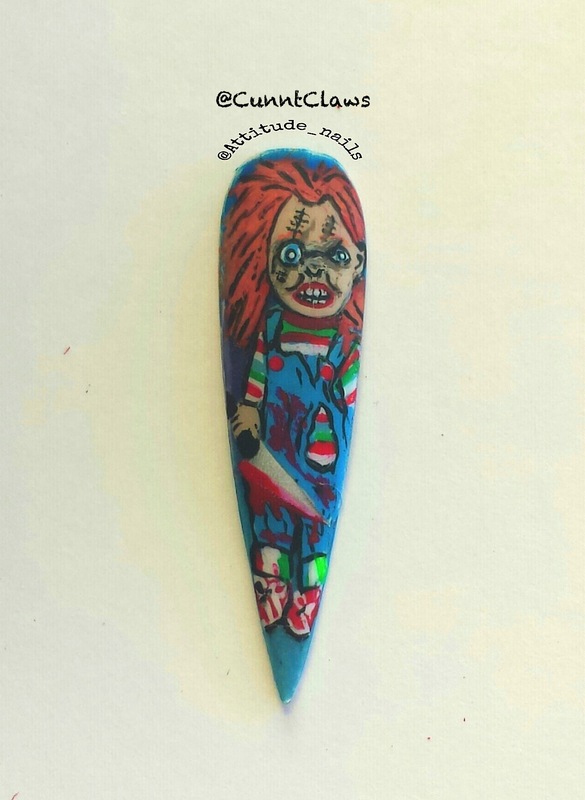 Thanks for tuning in…You could have been doing anything else in the world but you’re here being a nail-addict rocking out the holiday with us and to celebrate, today we have something special for you at this never ending digital party here at, Cunnt Claws. 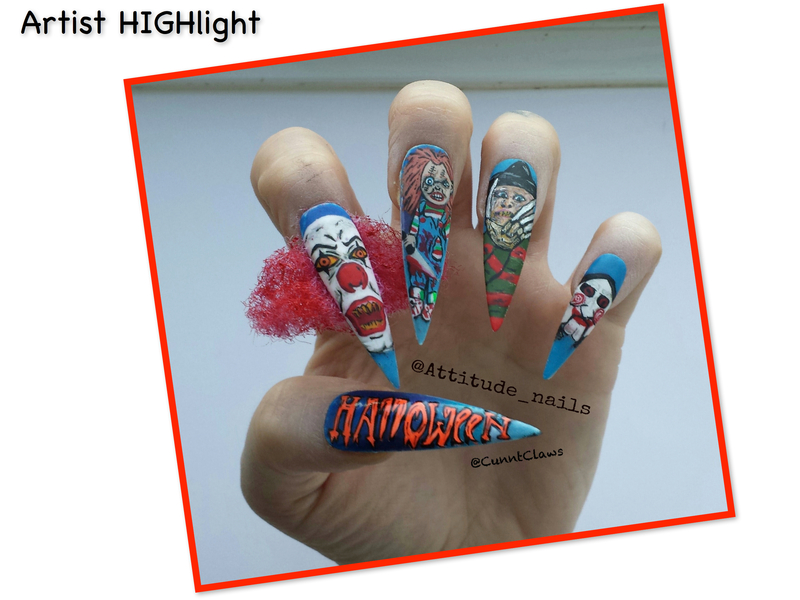 Our cunnt artist, Nikki P (Attitude Nails) has crafted yet another silently outspoken exclusive designed nail set that will both move and uplift your spirits in honor of, Halloween. During the process Nikki stated how these particular characters disturbed her childhood’s psychological (We don’t blame you girl, gessh!). Even in this day and age, the creational process for Nikki was hard to fathom, as to why these imaginary character still haunts her adulthood, but we are sure most of you can identify with her on this one! 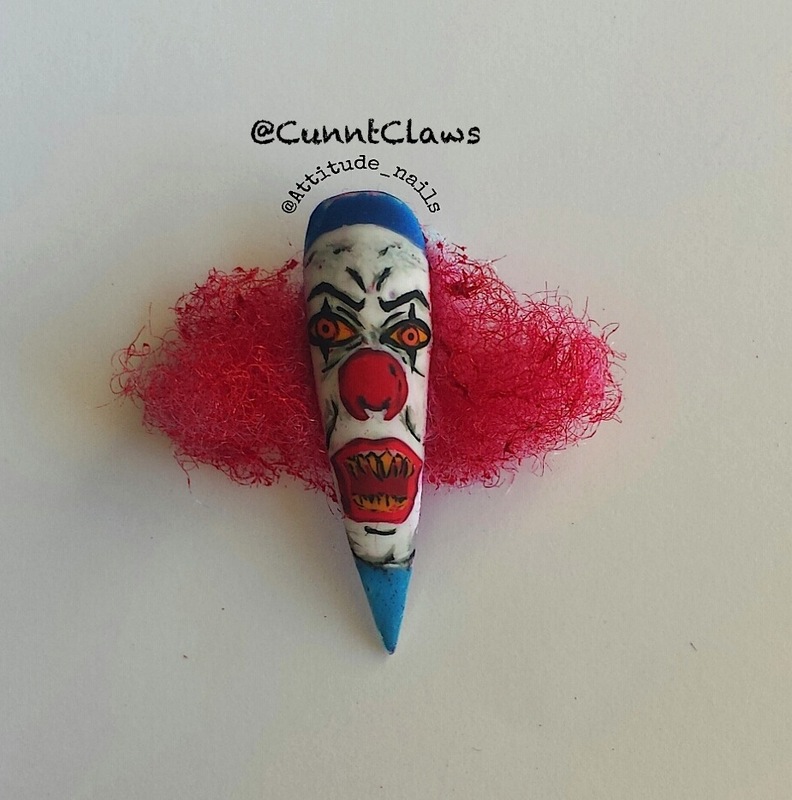 Pennywise – From the movie “It” , this scary looking character primarily appears in the form of a clown (Pennywise) in order to attract his preferred prey of young children (This creature can take different form, but mostly appears as Pennywise the clown). The movie follows the adventures of seven children as they are terrorized by Pennywise, who exploits the fears and phobias of his victims in order to disguise himself while hunting for his prey. 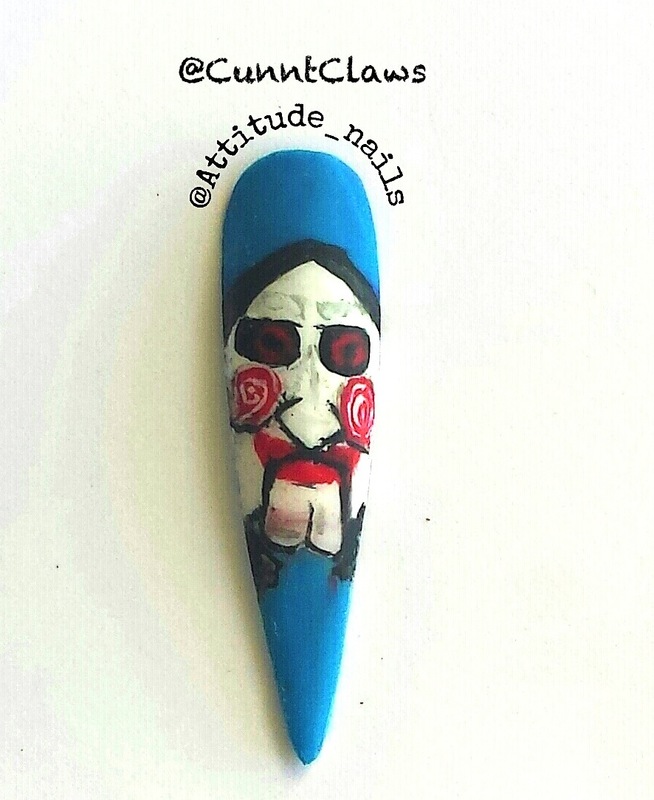 Jigsaw– Based on the movie, “SAW“ this character builds deadly traps for his preys, which are often a symbolic demonstration of what Jigsaw perceives as a flaw in the person’s life. Jigsaw calls these tests “games”, and tells the person the “rules” of the game by audio or videotape. The rules are tasks that the person must perform in order to pass the test and survive. On some occasion, Jigsaw uses psychological torture as one of the test being used on his prey. However, the tasks often involve extreme self-mutilation and most of the traps are made of scavenged materials, rusty bolts, decaying iron, or anything else he thinks will help him create a new “game”. 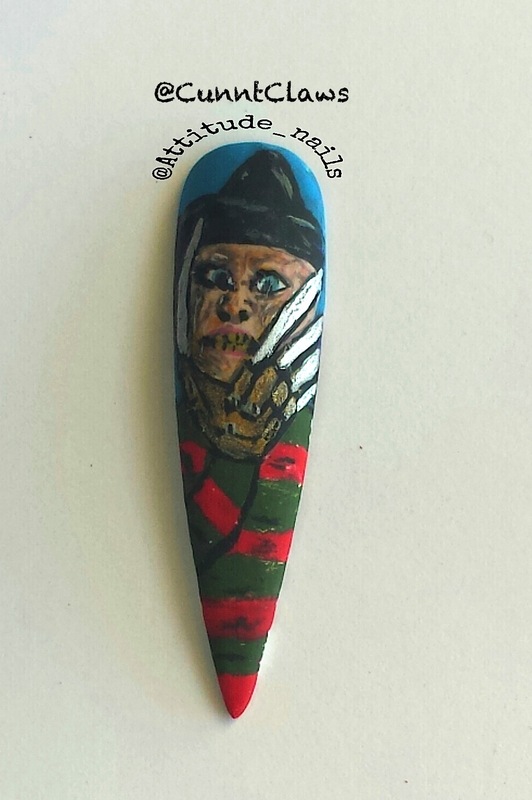 Freddy– A serial killer from the movie, “Nightmare on Elm Street“, who uses a glove with four blades embedded in the fingers, to stalk and kill people in their dreams. All the murders that are suppose to only be in a dream is actually the deaths of each person in reality!! Cunnt Facts: Sugar skulls represented a departed soul, which had the name written on the forehead and was placed on gravestone to honor the return of a particular spirit. 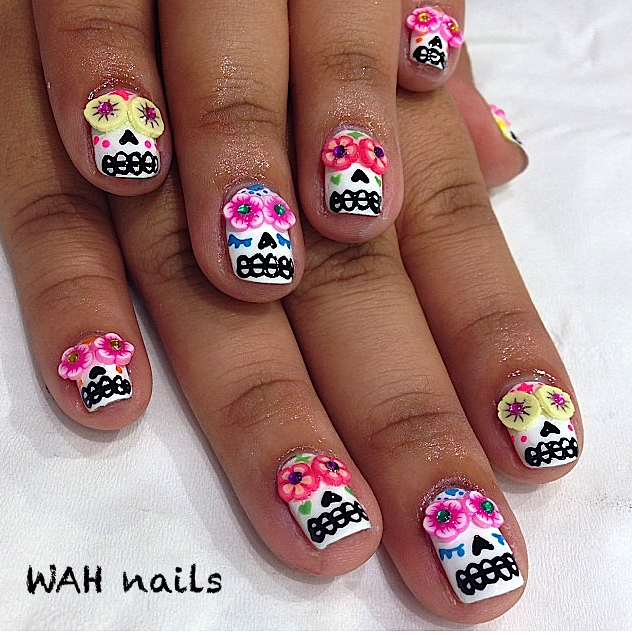 Sugar skull art reflects the folk art style of big happy smiles, colorful icing and sparkly tin and glittery adornments. 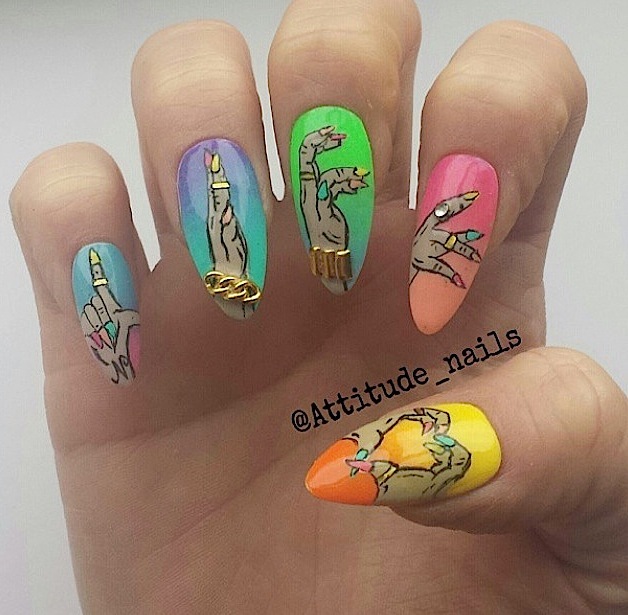 You have just witness the living proof of, CUNNT CLAWS– Representing, silently outspoken nails!!!! 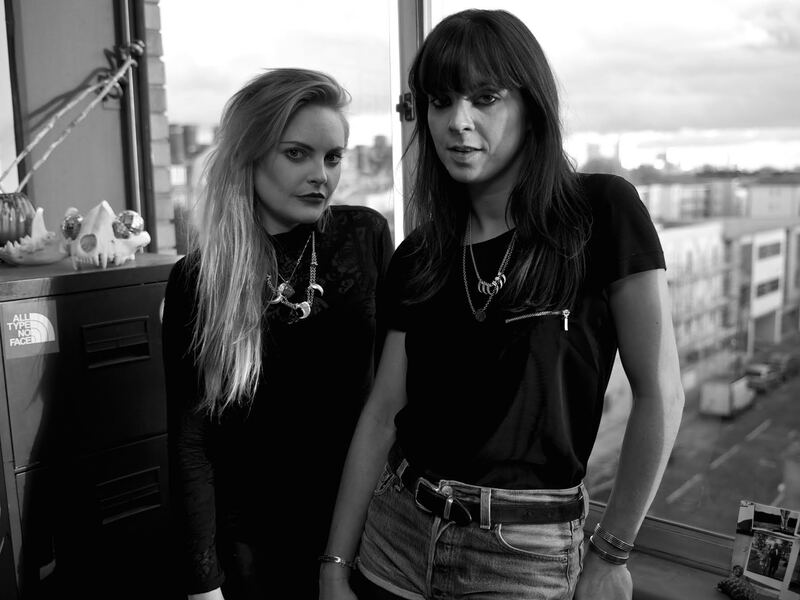 Can you say E.P.I.C ???? !